You may spend the better part of your morning putting together the perfect healthy lunch for your kids to take to school, but will it really matter if they don’t eat it? I learned this the hard way when I found out my child traded his entire sandwich for a single candy corn in the lunch room! Don’t let this happen to you! It’s worth getting this right as your kids will bring 2160 lunches to school by the time they graduate! In our house, I allow the kids to get school lunch once per week. The rest of the week, they bring a lunch. Here are 8 things we do so I can be more confident that they are actually eating what they take! Ensure the sandwich is manageable for little mouths! 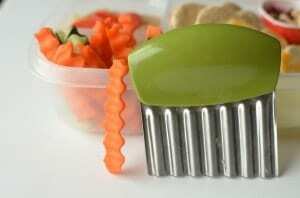 If your kids are small and you want to add vegetables, flatten out the bread and grate the veggies. This is my kids favorite way to eat a veggie sandwich. Here is one I made once for my kids: Sandwiches we make now. While the flat sandwich has negligible veggies, in the younger years, learning to love the tastes and flavors of vegetables on their sandwiches was the goal. This sandwich is a favorite. 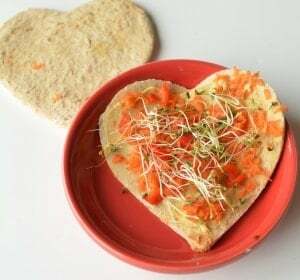 We flatten the bread with a rolling pin and add: Hummus for a spread, shredded carrots, diced peppers, and alfalfa sprouts. Let them pack their own– or pack it with their input. You can teach kids to pack their lunch even before kindergarten! They’ll need help fixing a sandwich for the first few times, but after that, let them do it! They love to be independent and this is one small thing that you can let go as their mother about! 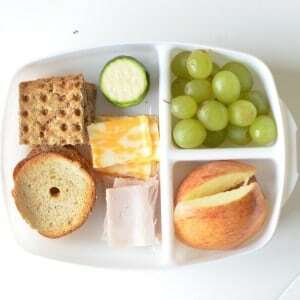 Setting parameters about the items that are important in a balanced lunch is the first thing to teach, and then they can be super good at it all by themselves. Keep food fresh. Wrap it up, add freezer packs, or pack it in an airtight container. I had to teach my daughter this when she couldn’t find any sandwich bags, so she just threw her sandwich into a lunch bag. 4 hours of air on that bread would not be appetizing by the time lunch came around. Keep certain sandwich fixings separate. 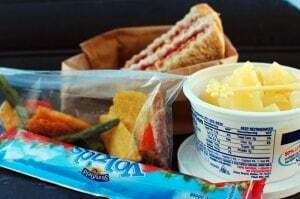 The last school field trip I went on, this cute little girl had bread in a bag, and in a separate bag had tuna salad and a spoon. Her mom kept them separate and for lunch, she spooned the tuna onto her bread! Also, leave tomatoes separate as it gets the bread soggy as well! Keep portions sizes small enough to get through it. Have you heard about the ridiculous eating times at schools these days? If you are unfortunate enough like us to have lunch first and recess second, it’s even worse. My kids swallow as much food as they can in 5 minutes, so they can get outside to play. So, packing too much food is usually wasteful. Remember to pack fruit! Don’t get hung up on the fact you don’t have any cuties in your fruit bowl. Also, don’t send things that tend to go bad. Bananas and pears are fragile and get bruised easily. 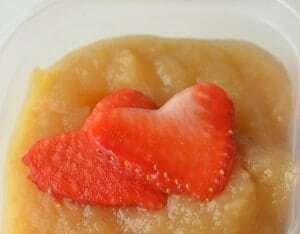 It’s easier for my kids to take applesauce, single serving fruit bowls, dried fruit, or even 100% fruit juice! Include protein for staying power and slow absorption of blood sugar! If there is anything kids need in the middle of the day it’s even energy to finish school. Protein is a great way to regulate blood sugar spikes. I have a daughter who won’t eat meat, so she brings hummus that she spreads on a sandwich (above), nuts, hard boiled eggs, beans or seeds! Of course, when sending nuts to school, make sure you are aware of your child’s school nut policy! So, roll out some bread, shave some veggies, and teach your kids how to make lunch themselves! What do you like to send to school? We sent this meal to school in our Easy LunchBoxes! Check them out here. I really want to do this for my son. But how do I keep the the food cold so it doesn’t spoil? A freezer pack that you can get at any store. Hi Tedra! We put an ice pack with the lunch box, INSIDE an insulated bag! It seems like a lot, but it’s actually not that bulky! Great ideas. I’ve been trying to load up my kids lunches with plenty of produce. Where did you find the tray for their lunches? It looks perfect for dividing up the fixings. Rubbermaid has a similar one as well I think! I bought my 5 yr olds lunch box at Big W, but K Mart, Wallmart etc should have similar things (try Ebay), it has (3) lidded compartments on top for fruit, saltanas etc & a little water bottle that you freeze to keep everything cold. Then underneath you have a larger compartment for sandwiches, cheese sticks, crackers etc. It’s not bulky at all & is a Sistema brand & can go in dishwasher & freezer. Both my kids use the bento boxes from Laptop Lunches. It offers the perfect portion sizes for everything. 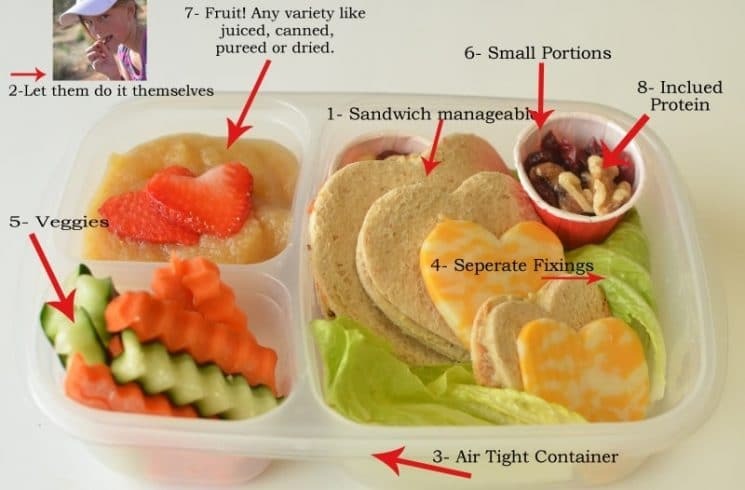 The larger containers hold a sandwich and fruit with the smaller containers holding a treat and carbohydrate. What I really love about this system is that my kids open it and see everything to eat instead of digging thru a bag with many loose containers. They always come home with an empty lunchbox! These look yummy. As a special treat, you can also throw in these awesomely healthy bars – http://deals.foodsniffr.com/healthy-gourmet-food/gourmet-healthy-breakfast/nutrition-bars.html. No chemicals or preservatives, allergen free bars. You are presenting a tremendous idea for school going students lunch box. I think it will also help for those who are taking a lunch box with them while going in a office. These are great ideas. 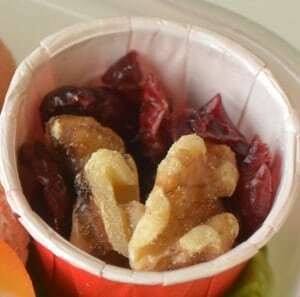 What I like with these packed foods is that they are complete – they include fruits, vegies and nuts. With this kind of snack, you can be assured kids are getting the nutrients they need. And the presentation looks great. kids would definitely be delighted to much on heart-shaped stuffs. Love these ideas! At the beginning of the year, I started having my kids (4 and 6) help me pack their lunches every day. I told them that they must include at least one fruit and one veggie in their lunch every day – neither one eats much. At first they complained, but then got used to it. One day I was rushing and did not pack a veggie. Instead I packed 2 fruits. Both kids complained! I felt so proud! Great web site you have got here.. It’s hard to find good quality writing like yours these days. I honestly appreciate people like you! Take care!! Good ideas. Children are normally picky eaters, if we don’t guide them towards good eating habit, they will tend to have an unhealthy lifestyle. I somehow agree that it is quite effective to let them choose first on what they want, let them involve in the preparation but we should not tolerate on all what they want, shall we say we will give them good guidance. I have to agree with everyone else…beautifully tasty ideas, May…and I also love your photos! 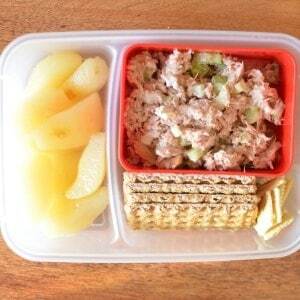 Thanks for featuring my EasyLunchboxes Amy! I love the small finger foods. Kids want to eat quick and play at lunch time! Even those older Jr. High kids love the quick finger food way of eating. Coles and IGA also sell these in two different sizes. the shaped sandwiches are always so cute. i just hate the wasted parts after using the cookie cutters. what do you do with all the left over pieces? I’ve also seen people freeze wet sponges and put them in sandwich bags – then you can reuse them! Do you have any hints or tips on getting your 4 yr old involved in packing her lunch? She basically comes home every day from Pre-k with an uneaten lunch. I’ve tried having her look at “lunch” picture recipes and asking her what she would like. I’ve had her go through the cabinets and choose (within reason) but still she comes home with an uneaten lunch. I’ve asked her what she would like, offer suggestions, showed her the school lunch chart I pulled from this website and nothing seems to work. Any tips or ideas would be appreciated. That’s tough Jennifer- because I would naturally suggest all the things you already mentioned that you’ve tried! I would just keep doing what you are doing and not give up. My 11 year old just said to me this morning: I’m so glad you don’t make my lunch! ha ha”.. so even if it takes a while, I think she’ll come around! i would also suggest speaking to the teacher. maybe there is something going on at school, maybe she is not hungry, there cold be all sorts of things happening- distractions, etc. have her start helping with her lunch on weekends and then eat it to get her in the habit? let her choose fun lunch stuff- cookie cutters for sandwiches, etc… once you find out why she isn’t eating at school, that might help you. good luck!